I keep missing the best time to visit Filoli house and gardens, despite living 10 minutes away. The San Francisco historic house has stood in the peninsula suburb of Woodside for more than a century. So I figured I could stretch out my visit, but two and a half years on, I wish I’d gotten there much sooner. 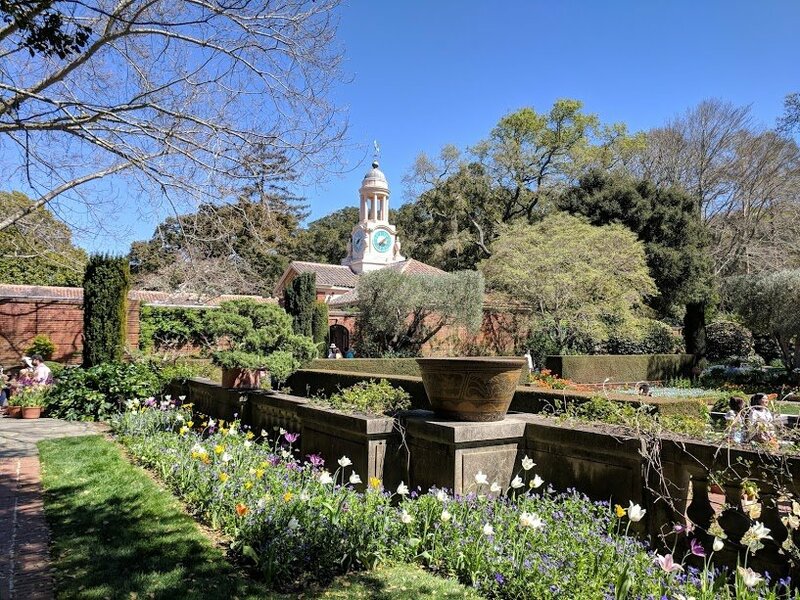 Apart from being a family estate for two prominent San Francisco families over the years, Filoli features 16 acres of gardens that range from English-style enclosed grounds, complete with hedges, to fields full of wildflowers. Not only is the estate now owned by the National Trust for Historic Preservation, but it’s also a California Historical Landmark and listed on the National Register of Historic Places. 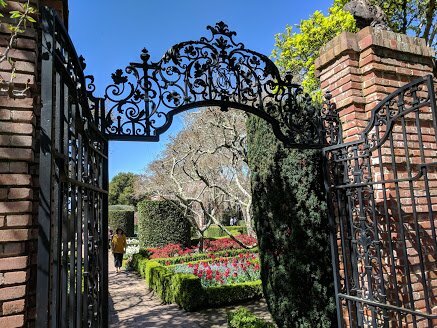 The country home, gardens and surrounding trails are open to the public year round, but when is the best time to visit Filoli? WHY IS IT CALLED FILOLI? The good news is that there’s always something beautiful to see at the Filoli estate. Like many other San Franciscans, I visited in late March to experience the spring blooms over a beautiful, sunny Easter day. 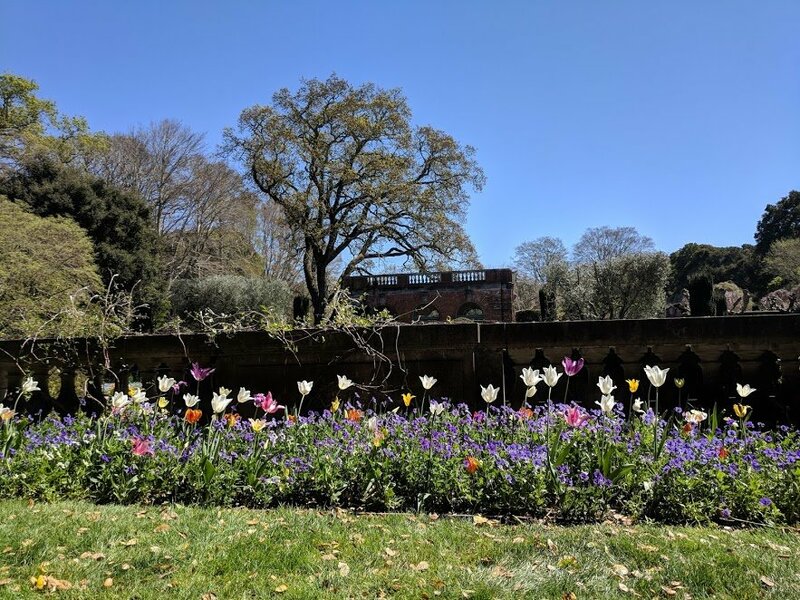 The best time to visit Filoli for me was definitely the spring time. 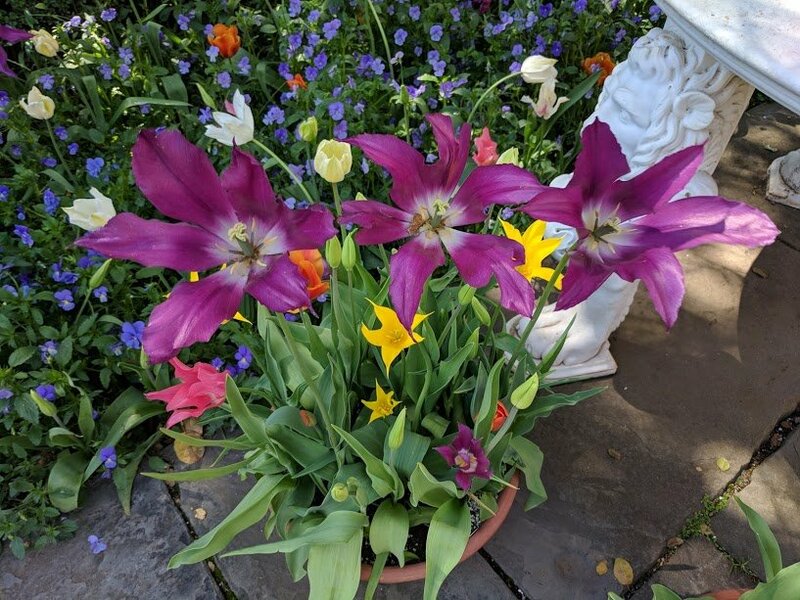 It was an experience to wander through acres of gardens filled with so many gorgeous blooms and enjoy the warmth of the Spring sun. But, like I said, it felt like half of San Francisco was there with me. It’s difficult to get photos devoid of hoards of people, which isn’t necessarily a bad thing. But if you’d like a more laid-back visit without the crowds, I’d recommend holding off over the spring period. 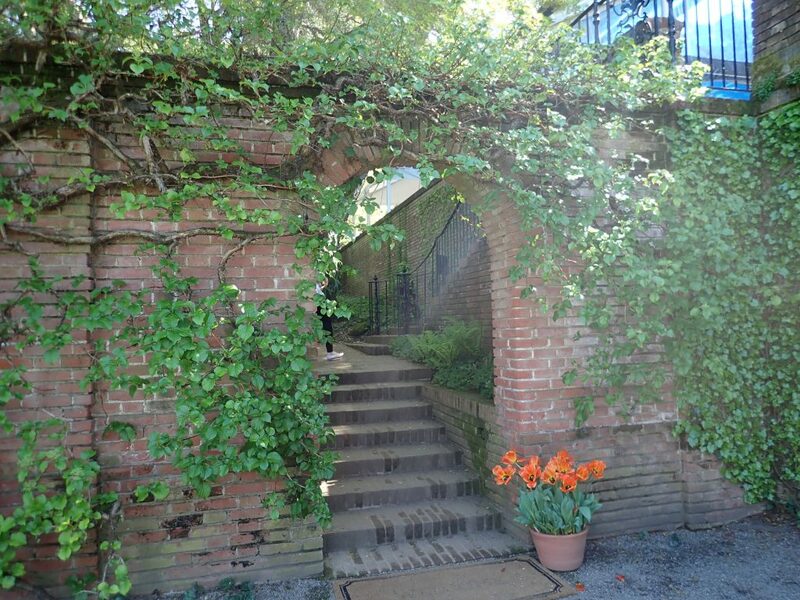 As you’ve probably guessed, the best time to visit Filoli all depends on the experience you want to have. I chose spring for the flowers, but I’m also keen to visit during winter because of a relatively new attraction called Holidays at Filoli. During the Christmas season, the house and gardens are especially lit and the house tour includes stories of Christmas traditions held at the home for almost 60 years. If you have children, they’ll be excited to get a visit from Santa or Mrs Claus to read a story. Plus there’s holiday entertainment and a wine bar to sample. As for the summer months, they’re a perfect time to walk the Estate Trail loop to get a better idea of the land that the estate occupies. Just bring some water to sip on the way. The one mile loop is very accessible to people of all fitness levels and will teach you a little about the San Andreas Fault as you walk over the American and Pacific tectonic plates. Autumn rivals the spring not only in beauty but also in colour. There are plenty of trees throughout the estate, ranging from towering behemoths to smaller saplings that will turn shades of orange, yellow and brown before creating a crunchy carpet beneath your feet. 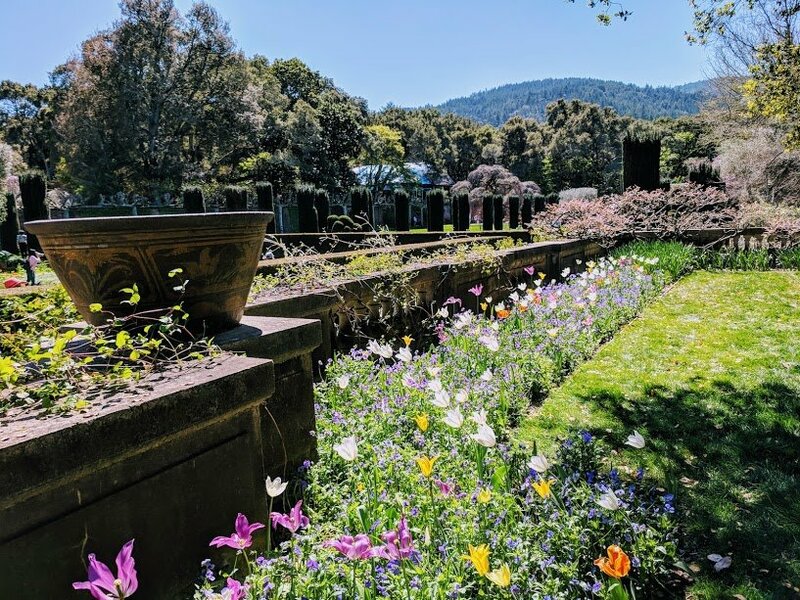 First we’ve got to start with ‘who dreamed up Filoli?’ It all comes down to William Bowers Bourn II, who ran the Empire Mine (now a historic state park) after his father’s untimely death. It became one of California’s largest, deepest and, most importantly, richest gold mines although things weren’t looking very promising at the time of William Bowers Bourn I’s death. His son developed the struggling mine and the families vineyards. California natives might already be familiar with another arm of Bowers Bourn II’s business – the Pacific Gas & Electric company. He was the original founder and president of the company and also founded the Spring Valley Water Company, which provided water to the city and its surrounds. You can see where this is all headed. Bowers Bourn II and his wife Agnes were basically swimming in money, so they decided to begin building a home on an estate with their lifelong friend and the architect of their other homes – Willis Polk. Work on the country house spanned 1915-1917 and the house was modeled on one called Muckross, that the couple had purchased in Ireland for their daughter Maud and her husband as a wedding gift six years earlier. The gardens were developed over the next 11 years. That’s easy (not really). Bowers Bourn II took it from the first two letters of each word in his personal motto – Fight, Love, Live. His full motto was actually Fight for a just cause, Love your fellow man; Live a good life. They’re not bad words to live live by, if you think about it, and the perfect way to encapsulate his life’s work in one word. 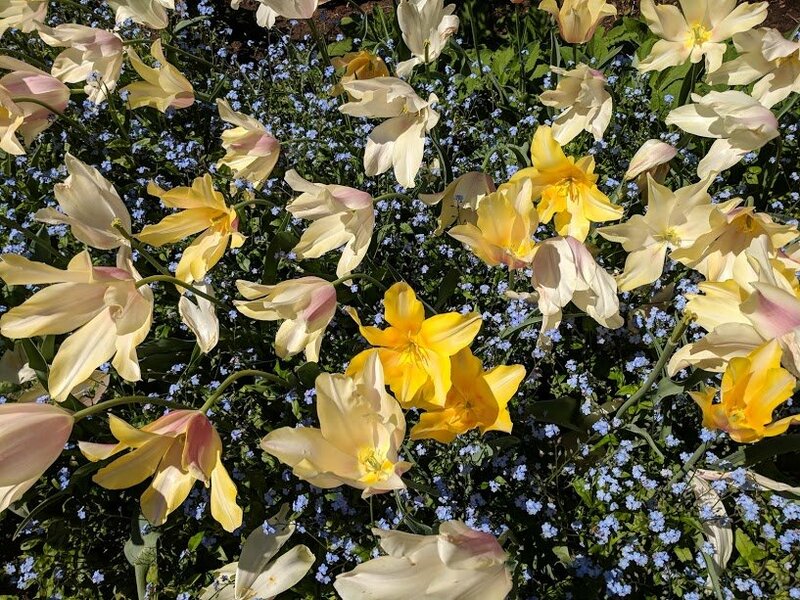 If all of the above hasn’t quite convinced you, there’s still plenty more reasons to visit Filoli. 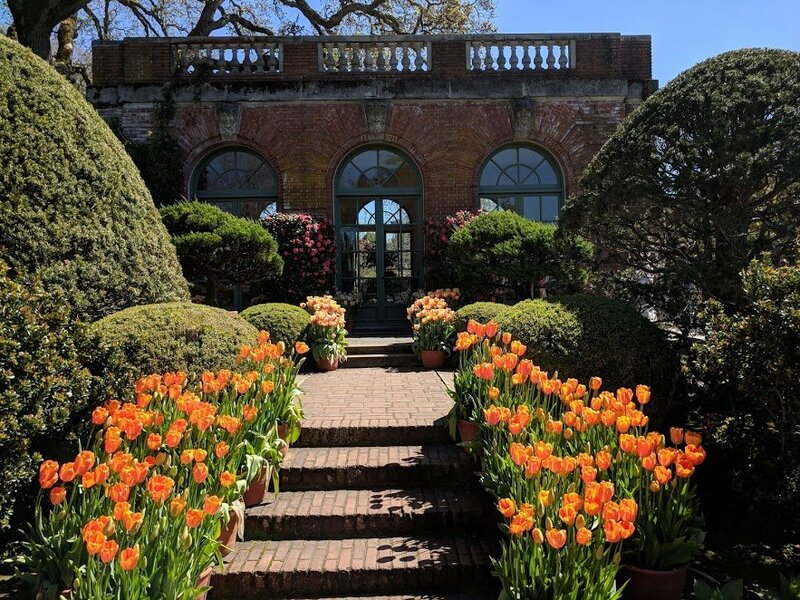 It’s a little bit difficult to classify the Filoli house as a certain style of architecture, since Willis Polk drew on different forms of inspiration to design the stately structure. It has Stuart and Georgian features and the roof tiles are reminiscent of those used on Spanish missions. Only the lower floor of the house is open to the public, but that’s enough to keep you very busy. The 43 rooms span 54,000 square feet all told (5,016 square metres) and the lower floor seems to be dedicated mostly to living, entertaining and cooking. 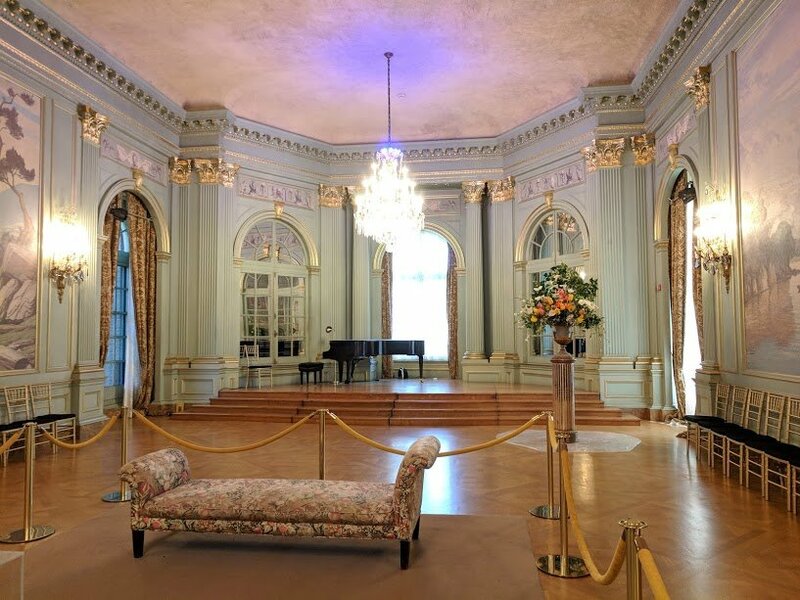 The ballroom is the largest room in the house and is also the most elaborately-decorated (from those that are open to the public). Swathed in a pale green that was the favourite colour of the couple’s only daughter Maud, with gilt accents. Bowers Borne II suffered a series of strokes in the years after moving into the estate, which robbed him of the use of his legs. His worsening condition also took his ability to speak and in an effort to cheer him, his wife and daughter had the ballroom painted with scenes from Muckross. 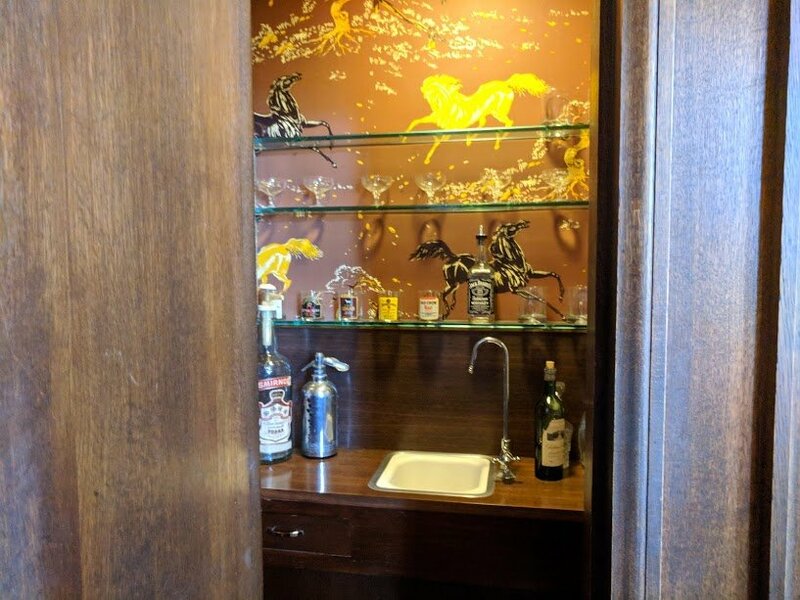 American artist Ernest Peixotto was well-known for his murals and travel writing and was commissioned to bring Muckross to life at Filoli. Now look up and take in the crystal chandeliers, that were copied from those that hung in the Palace of Versailles in France. Both Agnes and William attended the signing of the Peace Treaty in 1919 (ending World War I) at the palace, which the chandeliers were specially made for. Originally built so that William could attend to his many businesses from his home, the study is paneled in dark oak. A walk in safe is concealed to the right of the imposing fireplace, giving the study a little more excitement. After both William and Maud died in 1936, the house was purchased by Bill and Lurline Roth for themselves and their three teenage children. The Roths turned the study into a family room and converted the safe into an upstairs wine cellar. Because traipsing all the way downstairs to fetch a bottle probably seemed a little quaint. Or maybe they just didn’t have as many jewels and treasures to secret away as the Bowers Bourns. To the left of the fireplace is another hidden door, which conceals a small room complete with sink and refrigerator. As usual (at least in the previous historic homes I’ve visited), the library is one of my favourite rooms. Open and airy, this library doesn’t make you feel completely walled in or encroached on by the books that grace its many shelves. 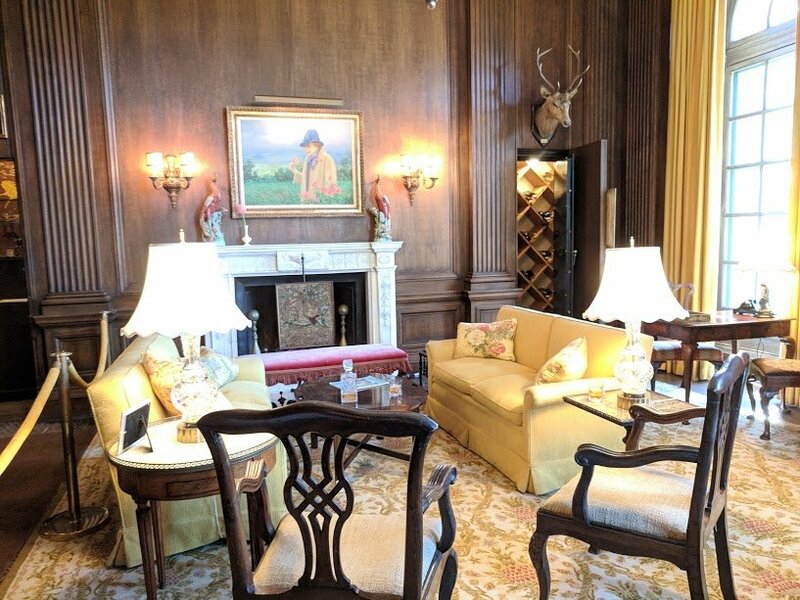 Instead, the room is filled with comfortable chairs surrounding a stately fireplace, side tables with large lamps and a work desk. 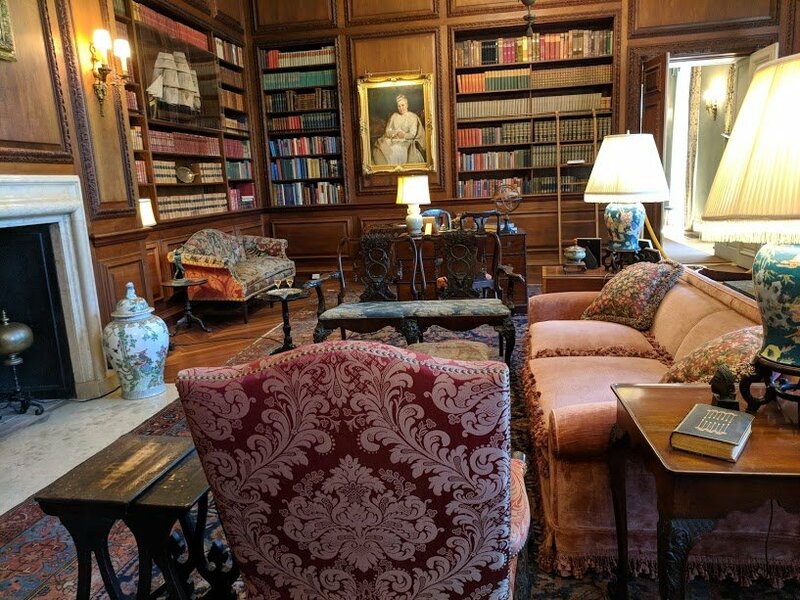 The walls that don’t feature book cases, have portraits looking down from their perches or are paneled in American Walnut, hiding yet more books behind. 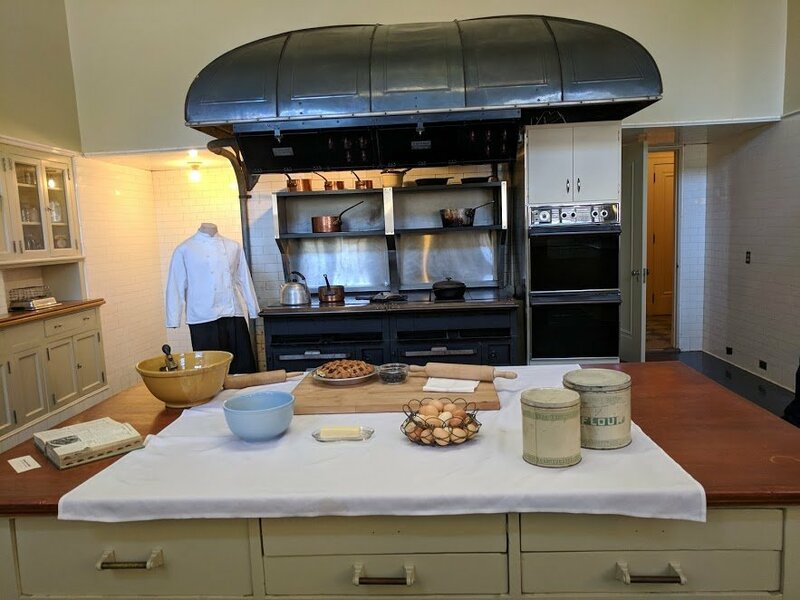 That’s not a typo, I counted at least three separate rooms dedicated to food preparation within Filoli and they are enough to make the baker in me very jealous. Over the years chefs from England, Sweden and from San Francisco’s Chinatown presided over the culinary domain of Filoli. The kitchens had to be large though, since the staff sometimes had to prepare three separate meals – one for the children, another for the adults and their guests and then a third for the rest of the staff on the property. That’s a lot of cooking no matter how you look at it. The kitchen, complete with a walk-in safe for the silver. The original wood fired stove broke down during World War II and was replaced with an electric stove that was supposed to be destined for a cruise ship. A cold-storage room shared a wall with the dedicated pastry room, where all the breads and pastries were made. I’m making a note to add a pastry room to my home. There’s another safe in the kitchen, this one was for storing the silver and pewter dinner services. It once housed a 581-piece Tiffany & Co silver service from 1896. While there is plenty more to see within the house itself, I’ll leave them for you to discover yourself while we move outside to the lavish gardens. While the Bowers Bourns put lots of work into the gardens over 11 years, Lurline Roth made a mark on them as well. She was a self-taught horticulturalist who loved camellias and could be found out with her 16 gardeners, tending to her blooms. The garden most likely to make your jaw drop would be Filoli’s formal gardens. Within the hedges, balconies and walls that encircle the formal gardens, is a space where you’ll really be able to mark the progression of the seasons. Apart from the border hedges, which are a mark of English formal gardens, you’ll find silky wisteria, a myriad of tulip varieties, Lady Banks roses, irises, tree peonies and lilacs. They surround a rectangular pond and make a colorful foreground for the Christopher Wren-inspired clock and small tower behind it, which now functions as a plant and gift shop. Filoli’s orchard spanned 10 acres and featured a collection of rare fruit throughout. 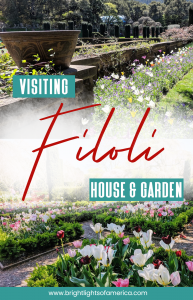 Because Filoli was an estate that often entertained the guests of both the Bowers Bourn and Roth families, it included the orchard and kitchen garden to feed them all. These gardens featured berries, vegetables and green houses among the many fruit trees that were restored after the National Trust took over. You’ll find plenty of different types of plants in Filoli’s gardens, such as the exotic Chinese tree peonies and European hornbeam trees. I’ll let the photos do the talking for the gardens since I have a black thumb and wouldn’t do it justice with words. You might recognise Filoli from somewhere. Maybe you’re not sure where you’ve seen it before. Well it was featured on the 1980s TV show Dynasty, and is shown in the opening credits and some establishing shots as the Carrington Mansion. It was also the location for filming of some scenes for the films Rent, The Wedding Planner, The Game, Heaven Can Wait, What Dreams May Come, Dying Young and George of the Jungle. 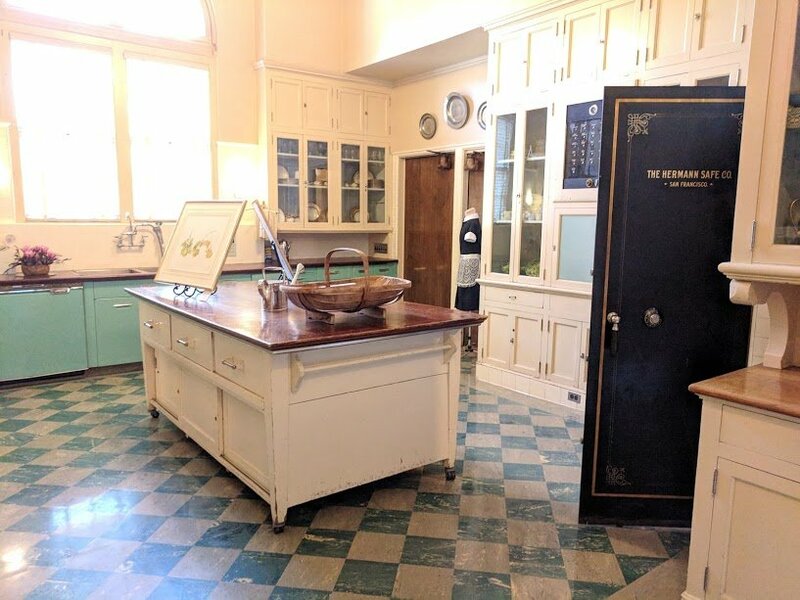 I love the story behind the name ‘Filoli’ and also that silver safe in the kitchen!! Me too! I didn’t know the story until I visited and thought it was amazing. What a man to have a motto like that. It’s about 10 times more beautiful in real life. My photos don’t do it justice at all. Beautiful house & gardens! Thanks for sharing, Katherine. When I was in Ireland last autumn, I visited the Muckross house and gardens in Killarney. What a beautiful place. The Christmas experience sounds amazing too. I know! I keep wanting to get there for Christmas but keep missing it because I tend to travel more in winter than summer. Filoli – what a great motto to live by! I love that orchard and kitchen garden! I’ll have to add this to our next San Francisco itinerary! Filoli gardens are an absolute delight to visit. I always take guests from outside this area to show them this place. Good on you for flying the flag! I can’t believe that it took me so long to get there! I’m surprised at how many locals here haven’t heard of it! It is a gorgeous place to visit so I’m spreading the word! It looks gorgeous! I’ve always thought the Dynasty set was in Colorado. I’d love to visit this place some time and love the story behind the name! I think they just took the establishing shots at Filoli because it’s a beautiful house. It probably is set in Colorado, although I think I might have been too young (or clueless) to have watched it. Wow. It was quite the tour too. I liked that it reminded me of some parts of Downton Abbey! How wonderful to share here and see the beauty of nature. Thanks so much! The kitchens reminded me of Downton Abbey! I think I felt like we were stuck in winter for so very long that as soon as I saw the sun and the spring flowers, I was in heaven! whoaa I’ve spent a lot of time in San Francisco and have never even heard of this beautiful place. Looks really colorful and lush! You’ll have to visit next time you’re here Eli! How stunning! I absolute love historic houses (I even live in one). Planning on visiting San Fran later this year and will add this stop to my to-do list. 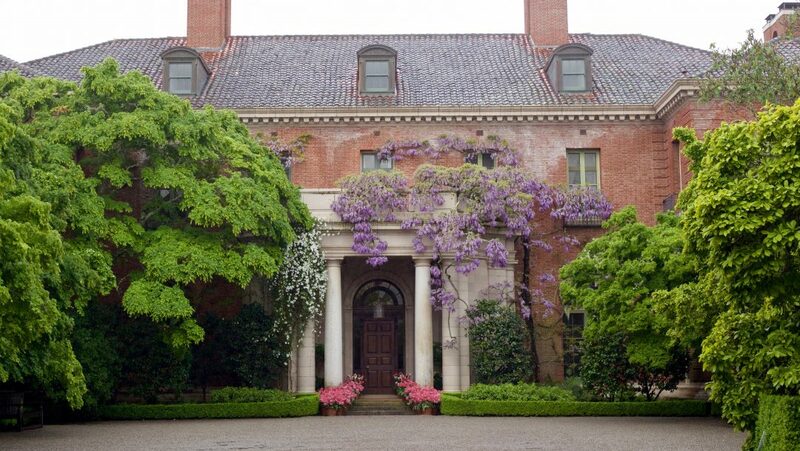 These homes look gorgeous and Filoli sounds fun to say! 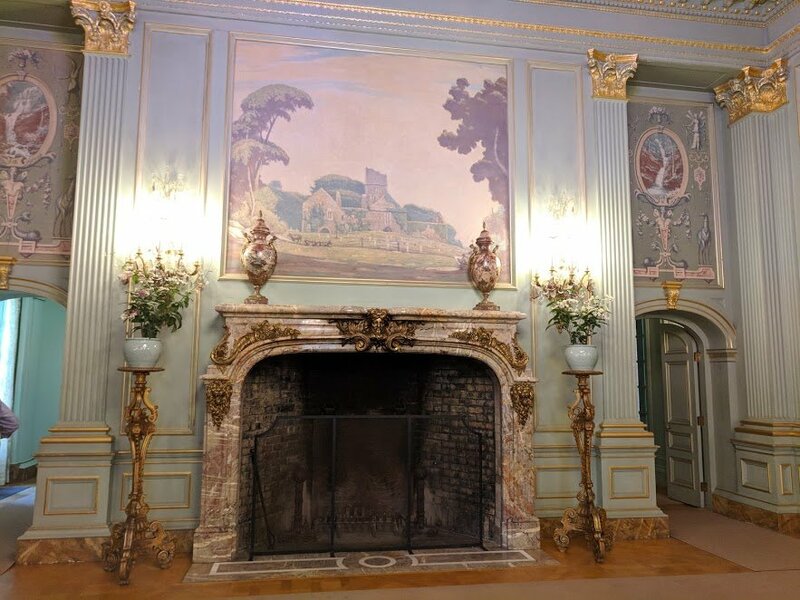 Filoli from the inside is almost the same as the Versialles palace in Paris. The exquisite interior designing is just amazingg. The garden is my type of thing. walking around smelling roses and taking the beauty all in. This looks like an English country manor, can’t believe this is in the US! You go into such detail, I feel like I’m there with you! Adding this to my SF wish list. In the meantime, please promise you’ll go back in winter and capture the magic so I can travel vicariously through you! What a gem! Interesting facts about the name Filoli and i had not heard about it earlier. The gardens look perfect for a weekend stroll. Beautiful photos. This is straight out of a fairy tale <3 That ballroom is so so heavenly! This is a beautiful house, you got beautiful photos of this place. Reminds me of Maymont House in Richmond, VA.
Looks lovely. I’m with you I would go in the spring to see the flowers, they are lovely. And I really like his motto and how he turned it into the name. Thanks for sharing on #TheWeeklyPostcard. That is an interesting way to choose a name for a place, but I like it! Pretty cool. I love that ballroom, the colors, and decor all flow so nicely. You don’t really find rooms like that and the others in modern homes. I used to go every year at Christmas. Its wonderful! Hope you make it there at Christmas this year.